The EXTRA LiFe 20 Supplemental Battery Module from Remote Audio is a lithium-iron-phosphate (LiFePO4) battery and is designed for use with the MEON LiFe cart power system. This 20Ah internal battery effectively doubles the available capacity of the system, giving you twice the battery run-time of a standalone MEON LiFe system. The EXTRA LiFe 20 (EL20) Battery Module employs two lithium-iron-phosphate battery packs that provide seamless backup power for your needs. Simply connect the module to your MEON LiFe system with the included 0.5' 14 AWG 4-pin XLR Powerflex cable and instantly double the battery run-time. The rack ears on the battery module can be removed and re-positioned to allow for front or rear mounting. The battery module does not require any ventilation space and therefore can be mounted in any position. 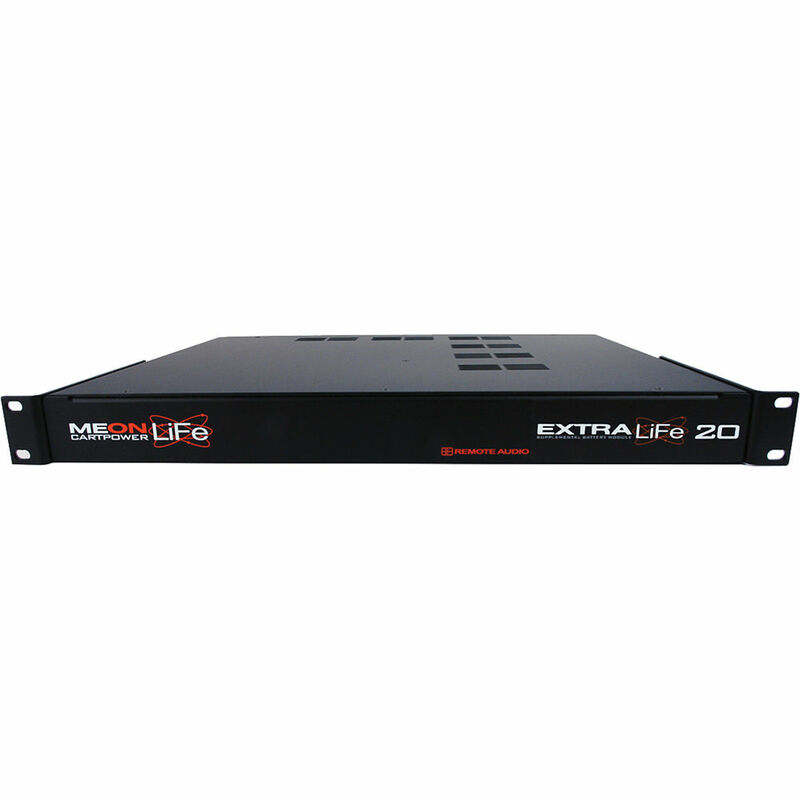 The MEON LiFe system's internal battery charger will charge the EL20 unit simultaneously with the MEON LiFe system's battery as shown by the MEON LiFe system's CHARGE STATUS indicator. Box Dimensions (LxWxH) 23.2 x 15.9 x 8.7"